WILA is the leading manufacturer of tooling systems for press brake manufacturers and users throughout the world. During the course of our more than 85-year history, our state-of-the-art solutions have become the international benchmark of quality. Working with WILA products means having access to near perfect bending technology, which focuses specifically on maximum press brake productivity. Finding the right balance between machine, tool and operator is a prerequisite for maximizing productivity when bending sheet metal. 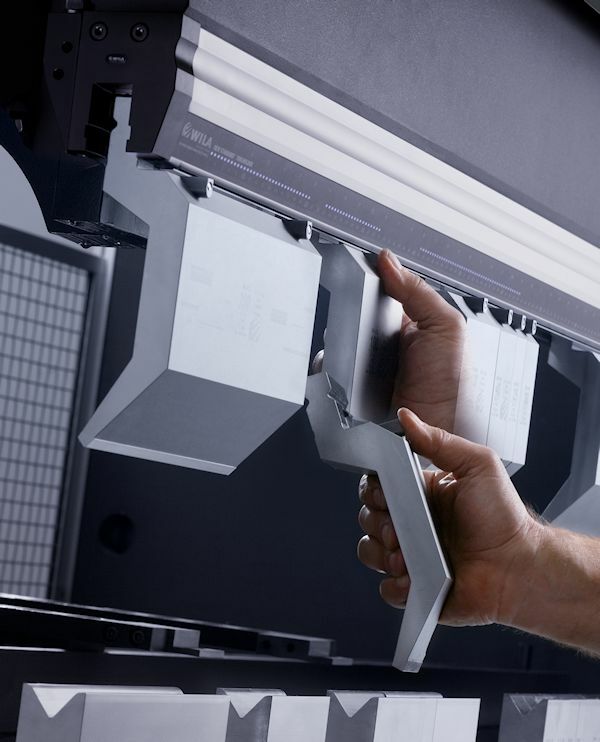 WILA’s uncompromising quality and innovative strength are translated into a balanced relationship between press brakes and tooling. This results in essential added value based on WILA's unique benefits: Accuracy, Durability, Flexibility, Speed and Safety. WILA continuously invests in new technologies to make it possible for our customers to maximize the productivity of their press brakes. We are proud of our extensive collaborations with all of the world's major press brake manufacturers. In addition, co-engineering is an important concept at WILA. Experience and know-how are always being exchanged; these range from innovative improvements, improvements in our tooling and tooling systems and even the optimization of working conditions. These allows us to continuously extend the capabilities of today's press brakes and to meet the ever-changing needs and preferences of our customers. The WILA Universal Press Brake concept makes all press brakes universal. This concept makes it possible for all press brakes to be equipped with WILA's Premium, Pro and American Style Press Brake Clamping Systems and Tooling. All WILA Tooling is designed to be extremely flexible and easy to use in the production of wide range of products, batch sizes and ultra-fast to reconfigure. WILA also offers tailor-made custom tooling solutions for specific bending applications. Users thereby benefit from a wide range of solutions to meet their most demanding requirements. WILA's product quality is of a continuously high caliber and our products have an extremely long life-span. Even after constant and intensive use over a long period of time, WILA press brake tools continue to function as if they were new. Quality also involves maximum operator convenience and ergonomics. In short, WILA quality is expressed in ease of use, accuracy, efficiency and maximum press brake productivity. If you would like to know more about WILA bending technology, technical details and product specifications can be found at the WILA Knowledge Center.